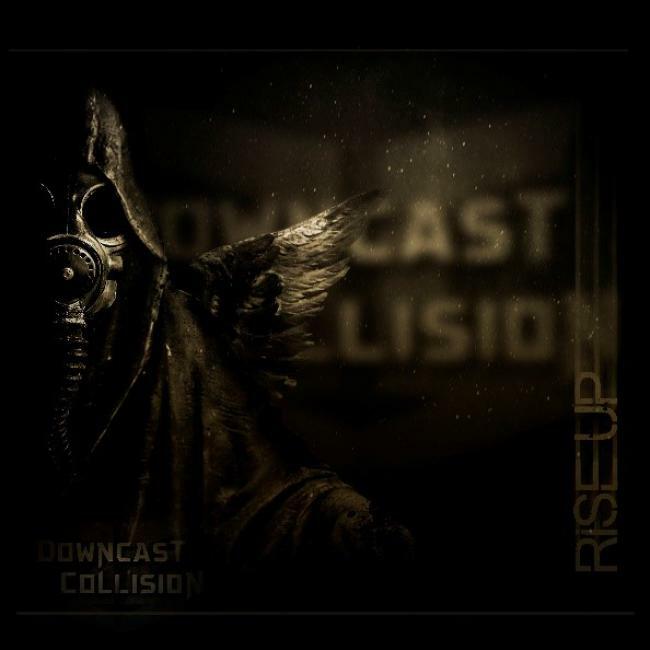 The Dutch female fronted modern metal band Downcast Collision is the second and also successful band of X-Tinxion members Monica Janssen (bass/vocals) and Peter van Toren (drums). Last year, the band toured through Germany during the ‘X-Mass in Hell Tour’, together with Six feet Under, Acid Death, Deathbed Confessions and From The Shores. On February 17th, 2017 the band released their debut album ‘Rise Up’ and the release party took place at the Kroepoekfabriek on March 10th, together with Grim Ordeal and Disquiet. Their debut album contains 9 tracks and the great artwork invites you to listen to it even more. A variety of styles like death metal, melodeath, metalcore, thrash metal welcomes you and bring you heavy killer riffs and dark female vocals in bold songs. The vocals of Monica sound more raw than when she sings with X-Tinxion, but in a few songs like ‘Spin Doctor’ she surprises you with a smooth clean sound. Because of the different styles they play on this album, it’s an album packed with surprises and variety. Drummer Peter and bass player Monica make sure there’s a solid rhythm section. The contribution of guitar players Casper and Geoffrey is also very important, because they demonstrate their diversity and bring this album to a higher level. With ‘Rise Up’ the band brings us a surprising modern metal album and prove that they are ready to conquer the world. But, let’s start in The Netherlands first! I haven’t seen the band live yet, but after hearing this album I hope to see them on stage very soon!